Faber & Faber recently acquired an unauthorized biography of guitar virtuoso and Van Halen guitarist Eddie Van Halen, titled ‘Eruption‘, by Paul Brannigan, who is best known as the author of the Sunday Times bestselling biography of Dave Grohl, ‘This Is A Call‘, and co-author of the forthcoming two-volume biography of Metallica entitled ‘Birth School Metallica Death‘. 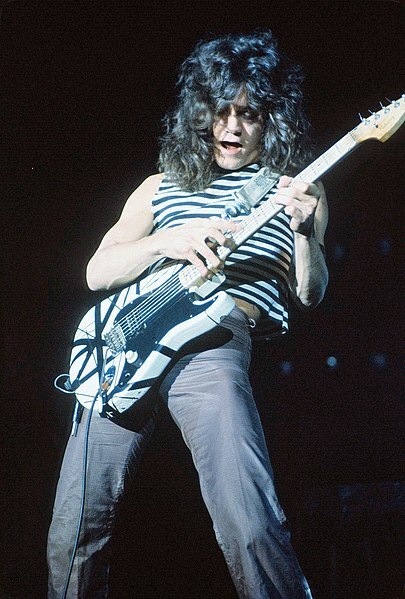 Scheduled for publication in 2015, the book promises to explore how it was the immensely unique and catchy, yet dexterous playing of the young guitarist which launched the band Van Halen into the forefront of America in early 1978, and transformed the musical landscape of heavy music at the time. Offering the first real examination of Halen, it will also bring to fore the life of the guitar virtuoso who lived in popular music’s fast lane. Angus Cargill, Faber & Faber senior editor, bought U.K. + Commonwealth rights, plus Canada, from Matthew Hamilton at Aitken Alexander. ‘Eruption‘ will be published in the U.S. by Da Capo.